This Grey Painted 8-Seater Dining Table by Jonathan Charles makes a stylish statement piece for any kitchen or dining area. Stylish and practical, this beautiful piece adds the Shabby Chic charm and effortlessly fits in your home. 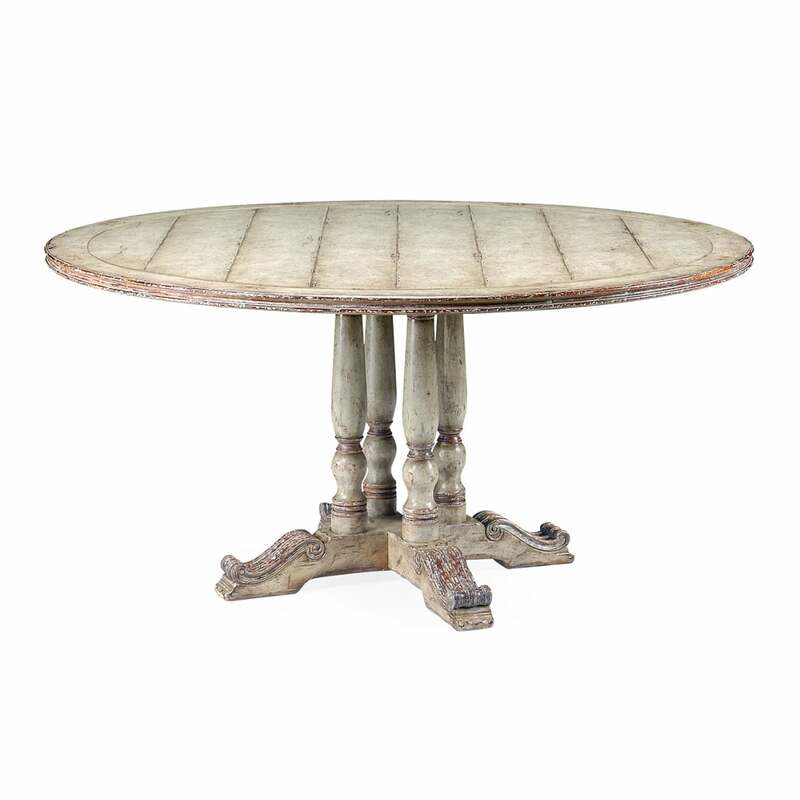 French country style olive green painted, distressed, walnut dining table features a planked top and a four-post pedestal base with hand-carved volute details to the feet. This sizeable French Style Dining Table puts the conversation at the centre, making those meals with friends even more of an occasion. Seats: 8.